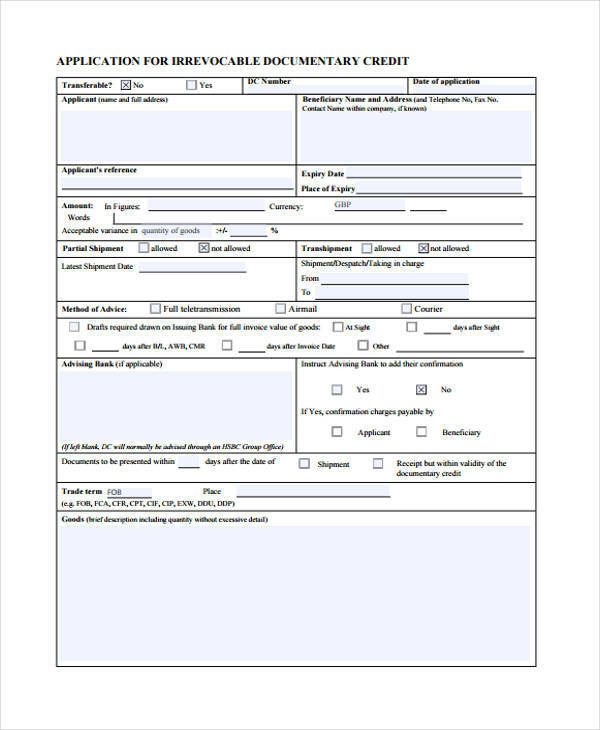 If you go to your local bank or lending firm, for example, and ask them for a loan, they would most likely instruct you to fill out a credit application form first. 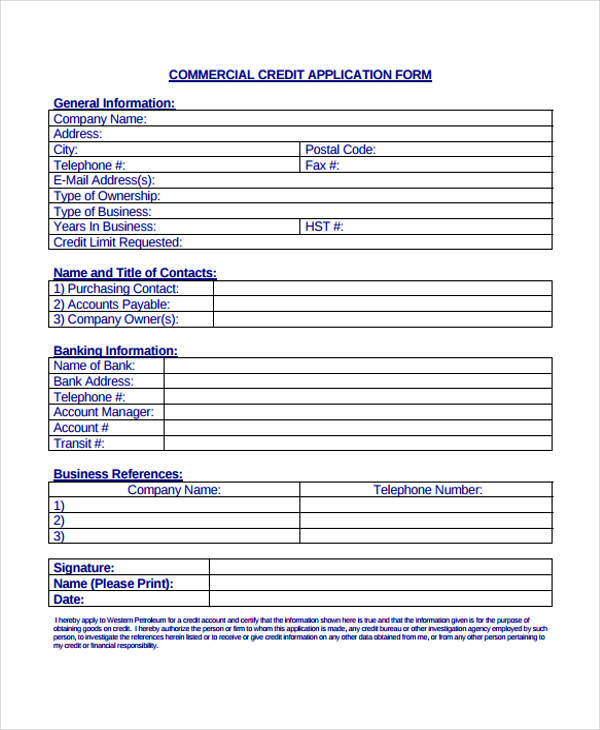 Credit application forms are used when banks and other business establishments want to extend credit to their customers. 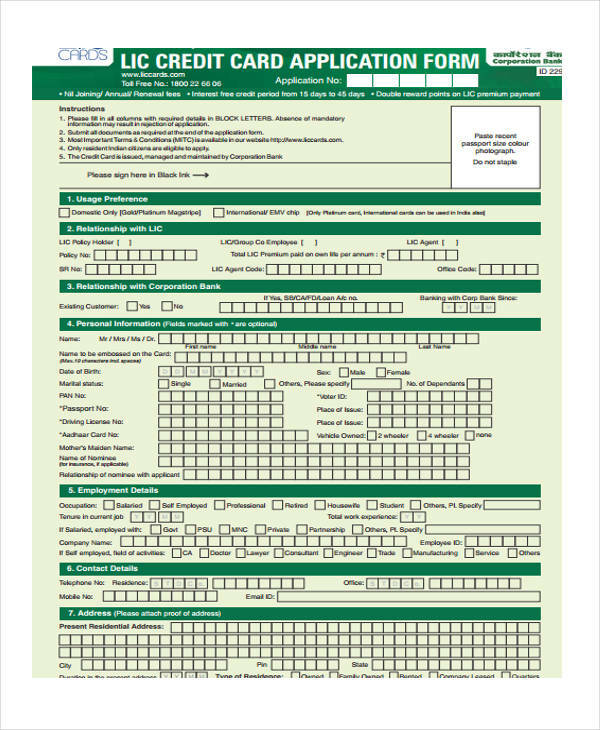 A completed credit application form serves as your introduction to the bank. 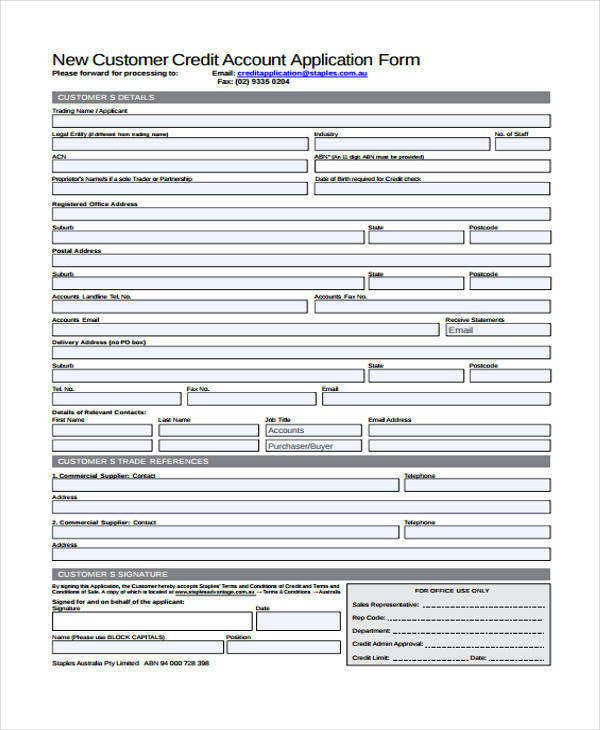 Filling out this form is as easy as filling out a job application form since the form will require personal financial information. 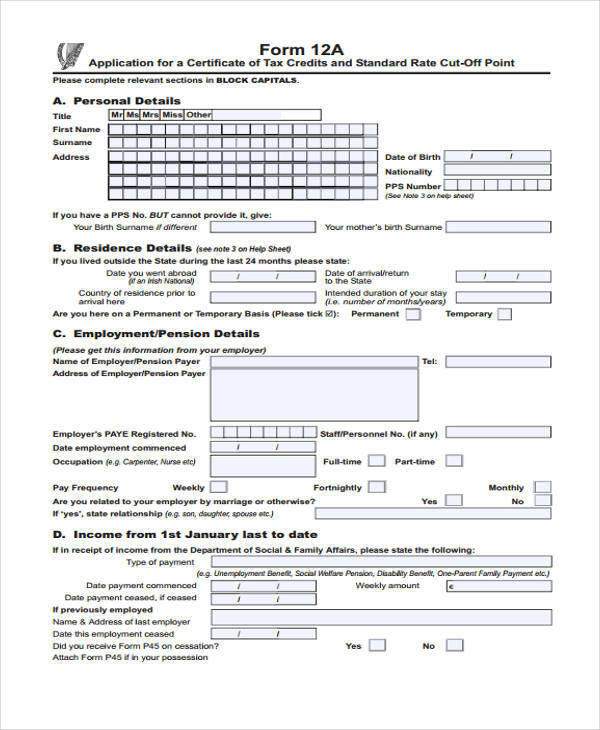 Other firms may require additional documents like proof of income and tax returns which will also be indicated on the form. 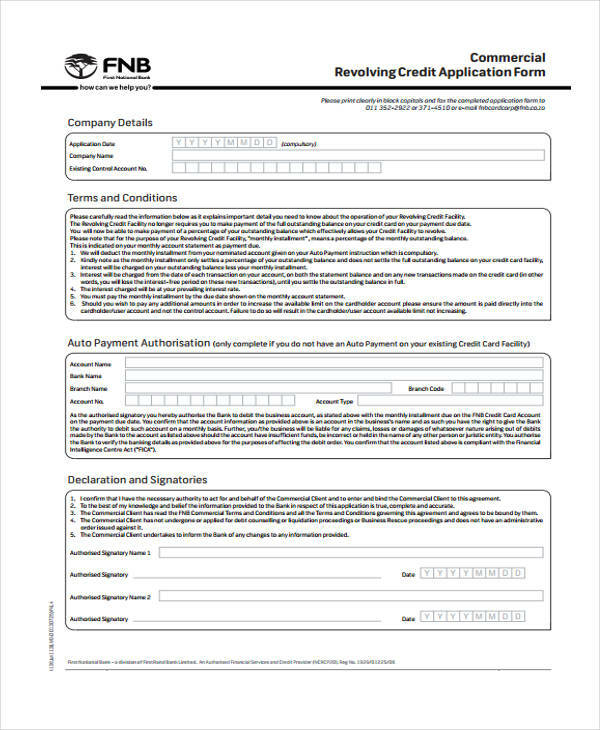 Aside from banks and established lending firms, business owners may also create their own credit application forms if they want to extend credit to their customers. 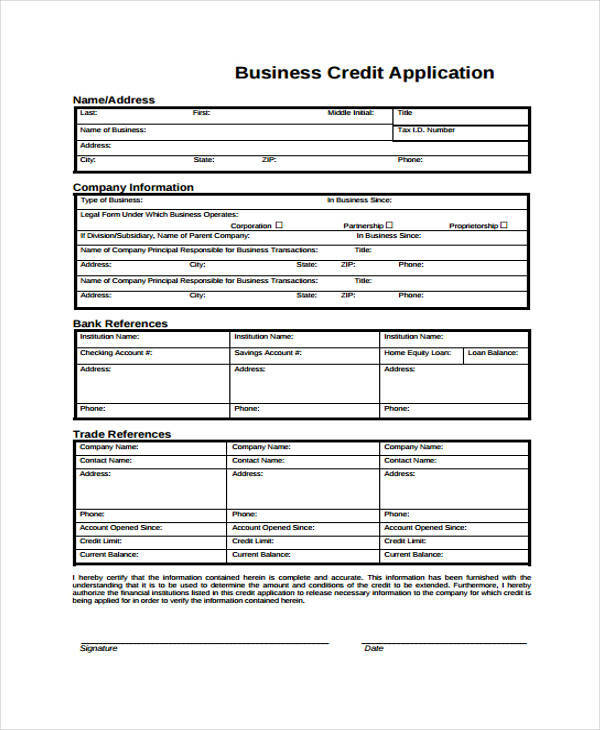 If you are thinking of doing this for your business, you may also check the format of business credit application forms. 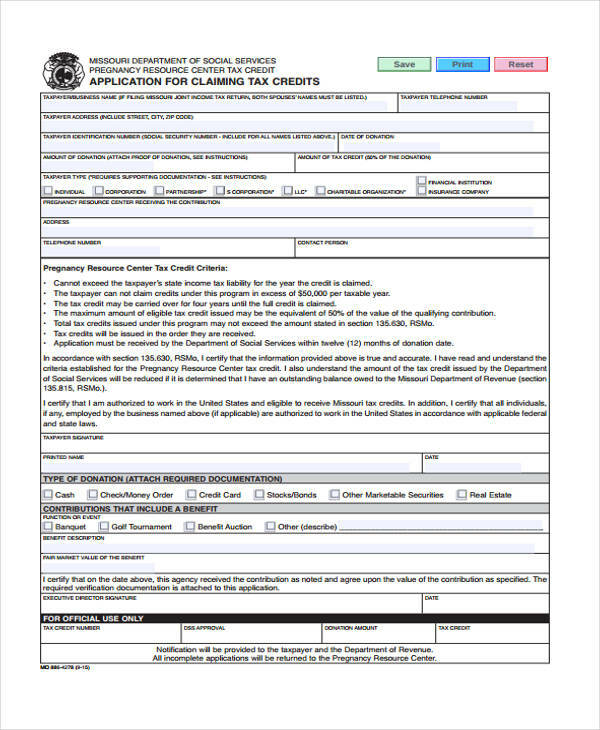 Anyone may fill out a credit application form and file for a loan or pay for an item in installment. As a private individual, though, you should exercise this privilege carefully. Remember that you still have to maintain a healthy credit rating. This means that the number of loans you incur should be directly proportional to your source of income. You should also only resort to filing for a new credit application after making sure that your other loans (if present) are paid on time and/or were already paid for. 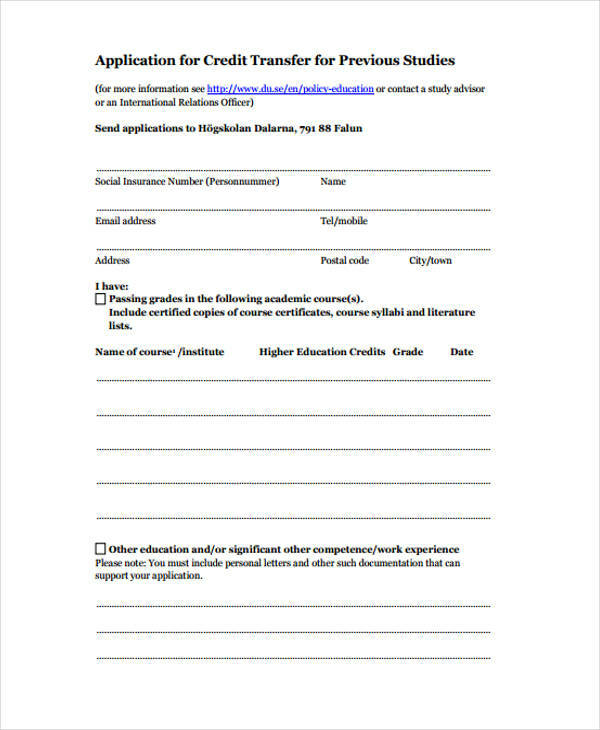 Lastly, you may try filling out credit application form samples at first. Then let it sit for a week or two before checking whether or not you still need that credit application or not. 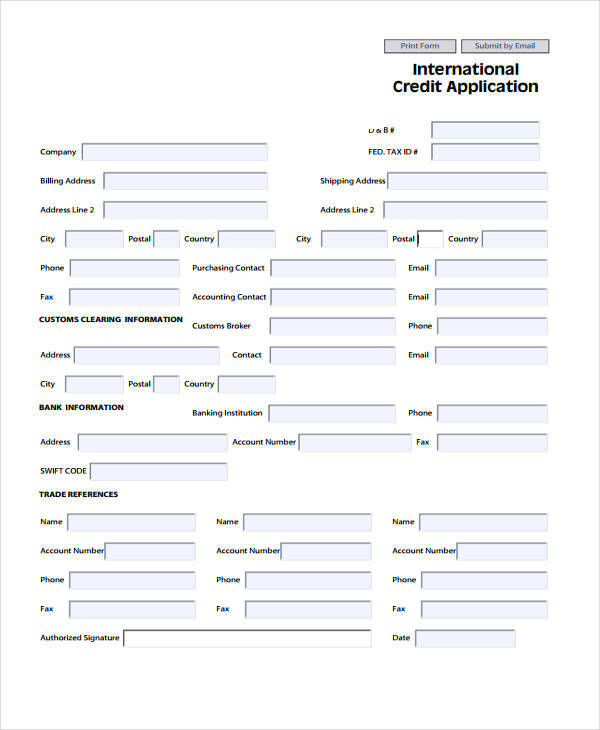 Simplifies the credit application process. 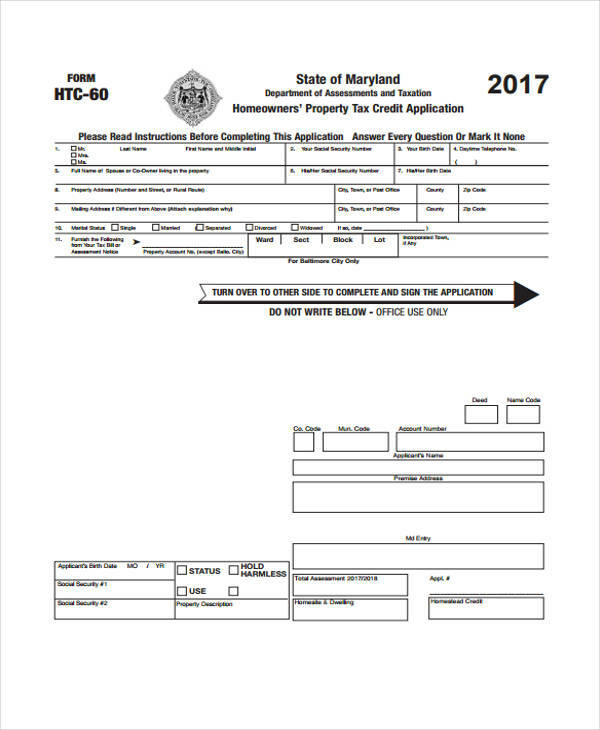 When starting out a new business, business application forms need to be submitted to simplify this lengthy process. 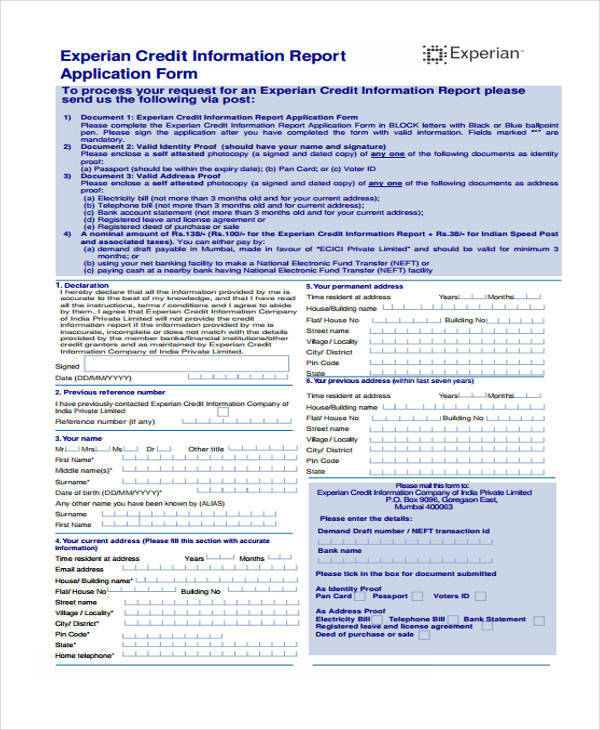 The credit application process is also simplified by using credit application forms. Screens out bad debtors. When a company have a process in place for accepting credit requests, they are able to see which customers more likely to pay them back through the requirements that they submit. Companies are then able to minimize their risk by not extending credit to these customers or by limiting the amount that they can borrow. Attracts more customers. When businesses are starting out, extending credit to customers may come naturally as a way to nurture the owner-customer relationship. However, this is approach does not take into consideration any new customers who may be able to pay as well as any old customer. By setting up a credit approval process using credit application forms, you open up your business to more possibly-paying customers. Sets guidelines for lending money. 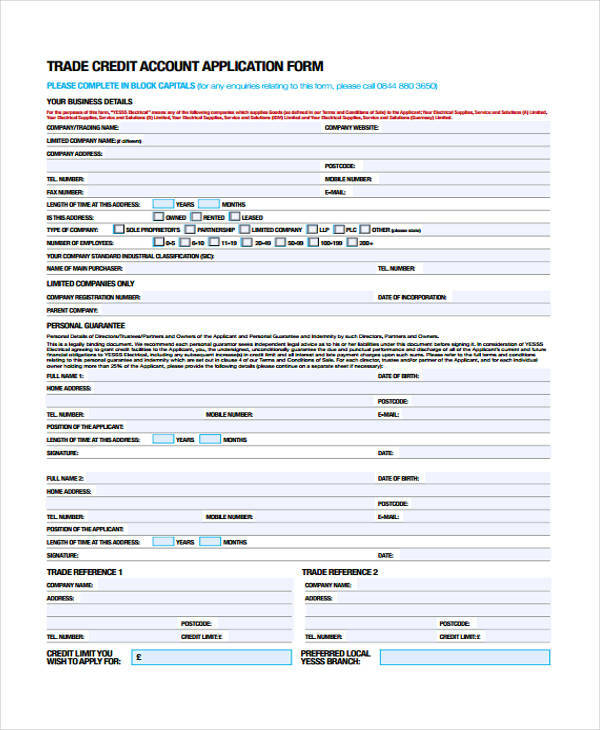 Using credit application forms lets your customers know that a process is being followed when they ask for credit/loan. Customers are also more likely to submit required documentation proving their financial capacity. This leads to a more thorough assessment of a client’s ability to pay back his/her loans. Gives credibility to your business. By being able to extend credit, your company image receives a boost. 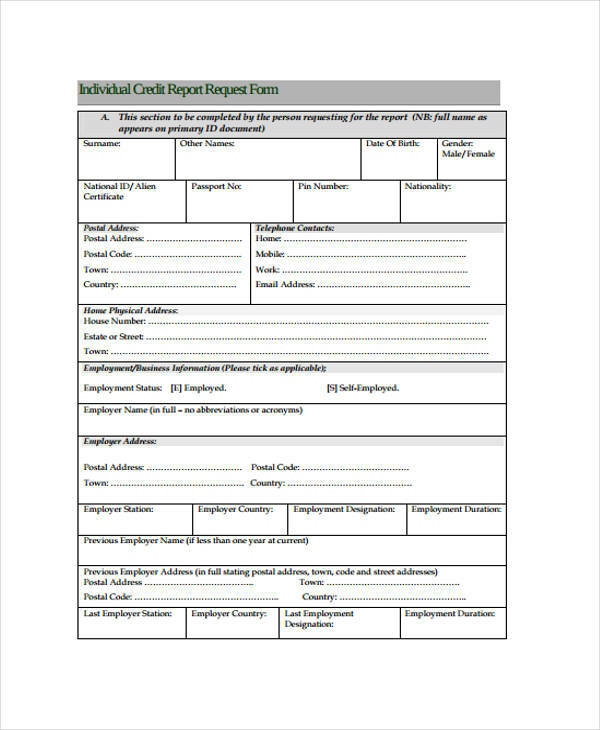 Whether you are a lending firm or a commodity selling firm, using official credit application forms strengthens your company’s lending practices. Limits risks. 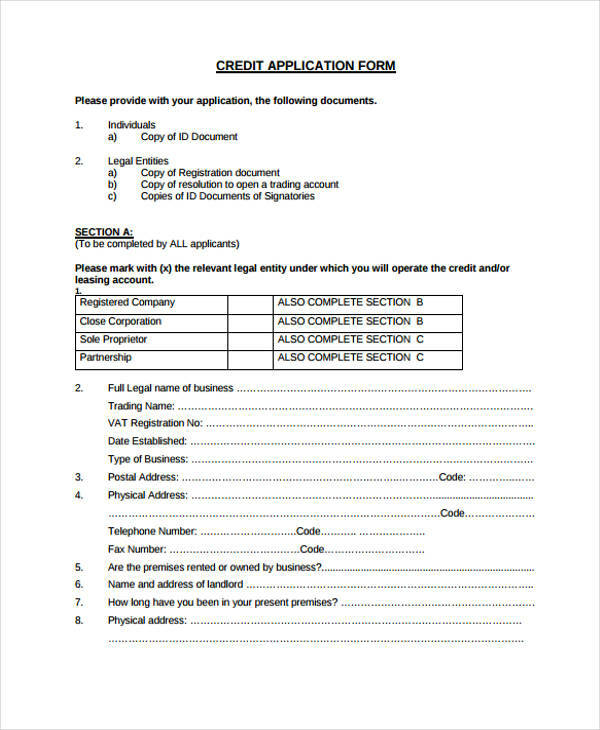 In connection with the second purpose, credit application forms helps businesses to limit the risks associated with lending to others. There are safeguards that your company can follow to ensure that you only get good payers. The online world is rife with different companies offering credits and loans. 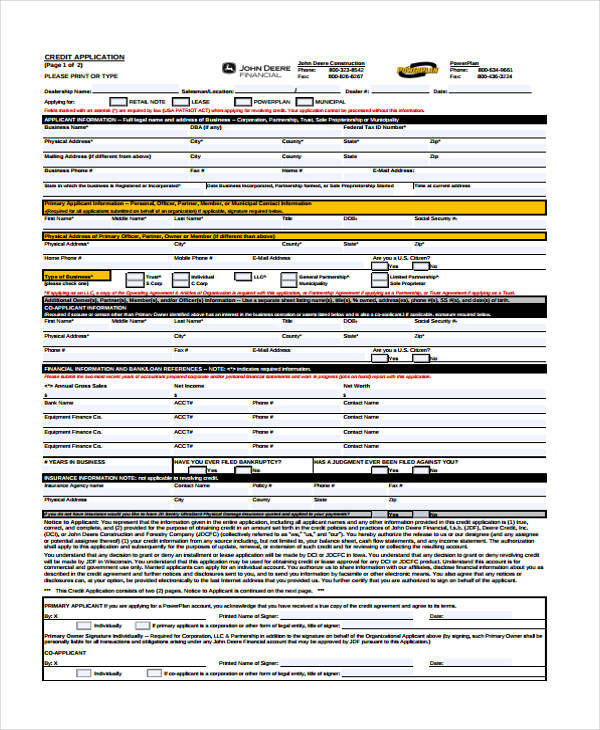 Thus, the subsequent credit application forms needed to file for a loan are also varied. 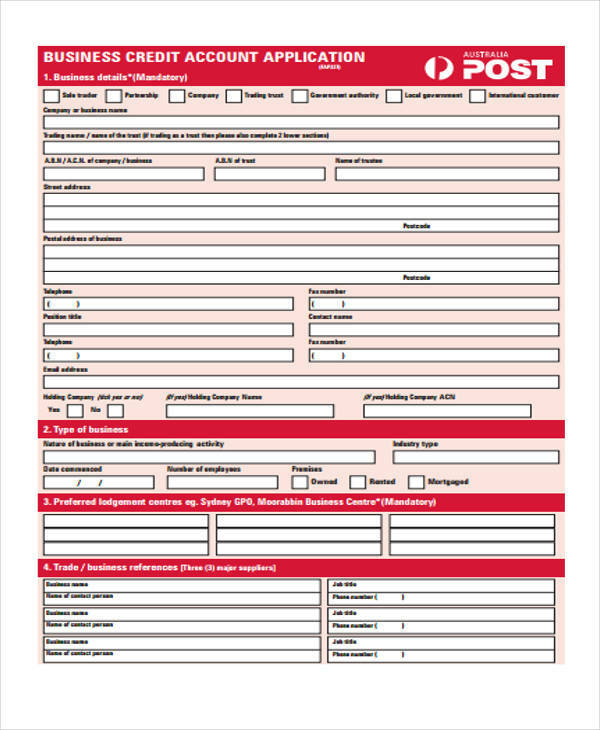 To avoid confusion and incorrectly filling out target application forms, always ask the company where you are applying for a loan first if they have a standard credit application form used. 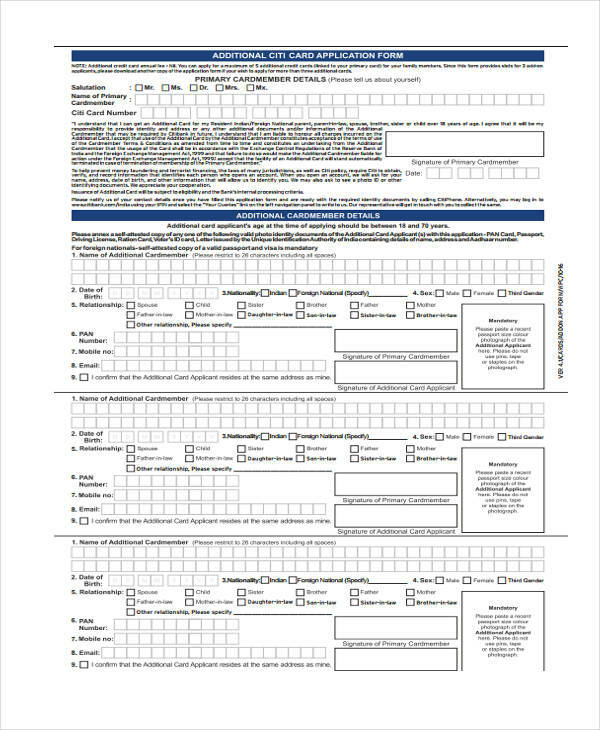 If yes, obtain a copy in their official website and begin filling it out. 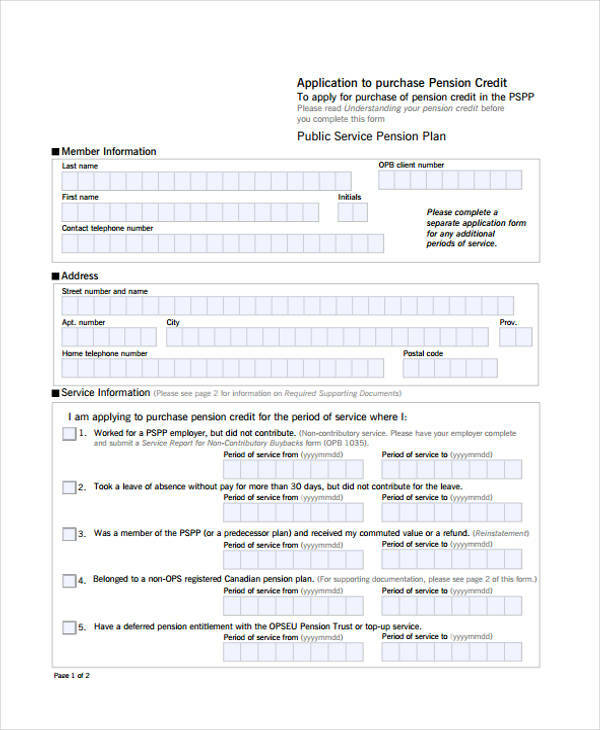 Different credit applications exist for pension credits, tax credits, and housing credits that some states and governments may offer. 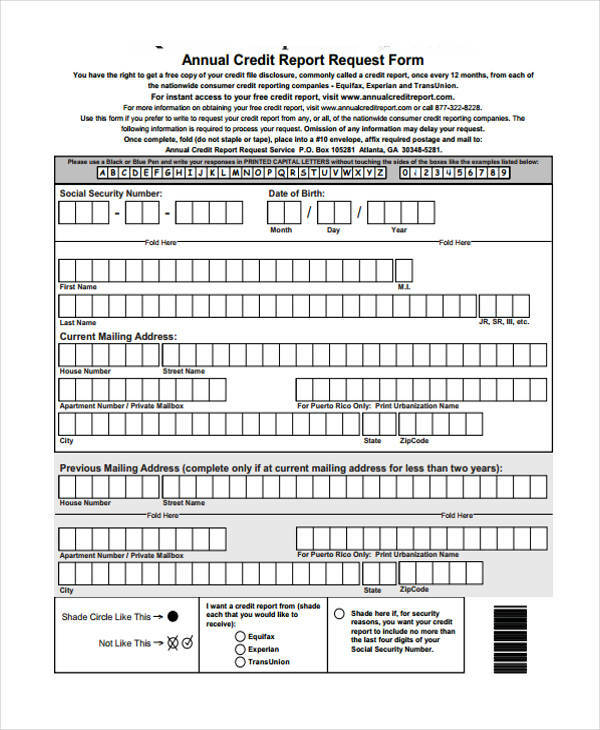 So make sure to ask your local government office aide first to know which form to correctly fill out. Make sure your financial data is consistent. 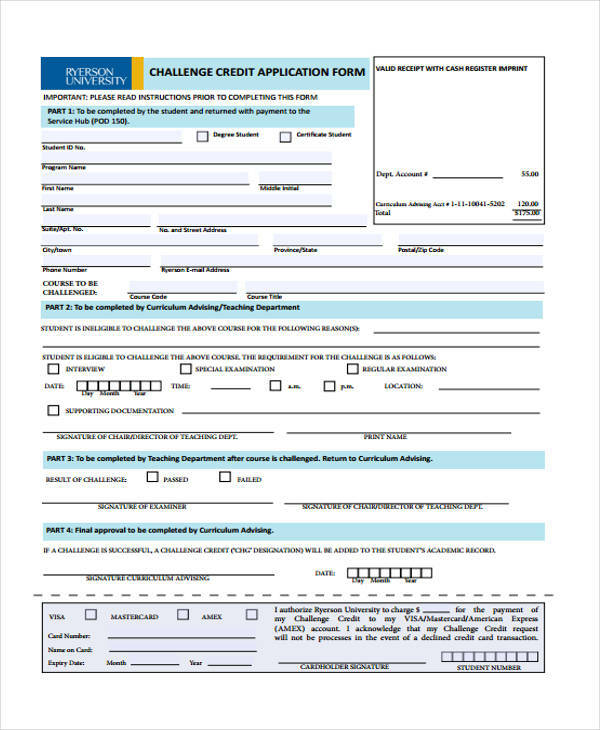 Credit application forms are used to determine your capacity to pay back the loan. A financial institution may flag your application if they find inconsistent information in your form and other documents. Be prepared for a credit check. 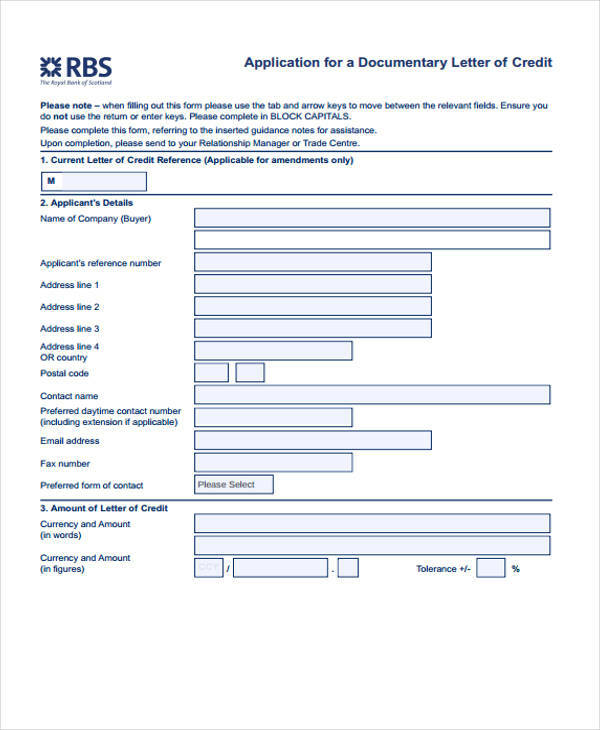 Credit checks usually accompany a credit application form submission. This allows a lending firm to objectively see your payment history and behavior as a consumer. Include proof of property ownership. When applying for a bigger loan, financial institutions may ask for a collateral. 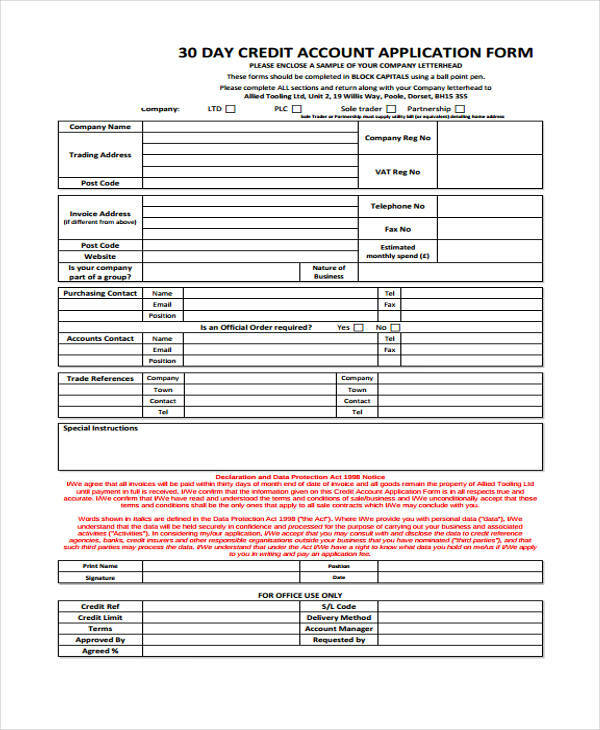 In this case, you may present property deeds and titles. Lending institutions see this as a guarantee that you will make payments and avoid losing your home. The bank can seize the property if you are unable to pay back your loan. Read the fine print. 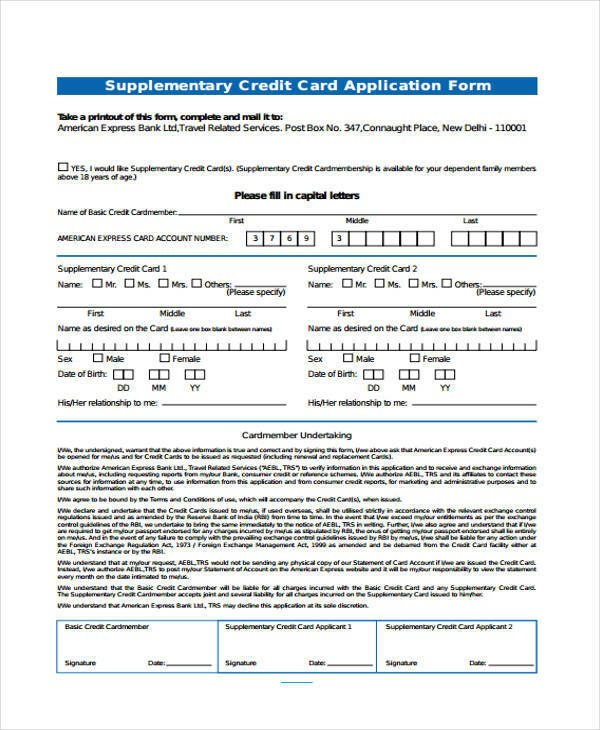 Some credit application forms serve as the agreement for a loan and loan terms and conditions will b stipulated on the form. 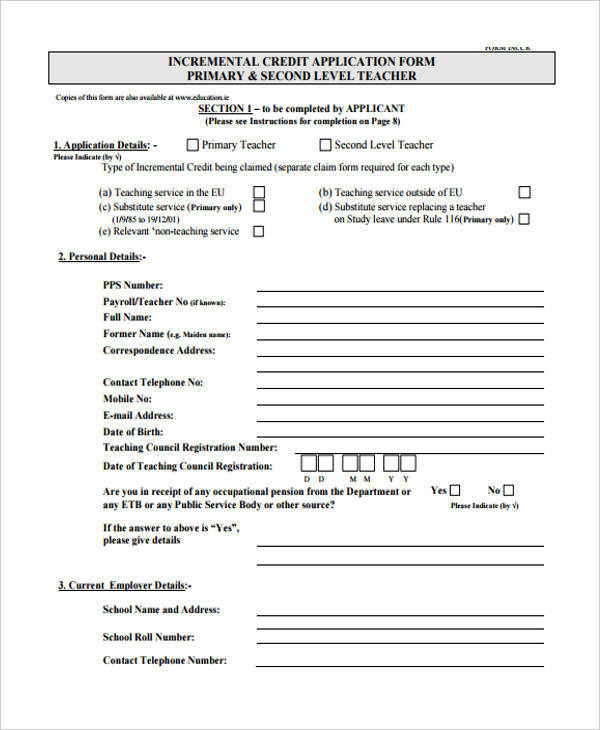 Make sure to read the form and if you have questions reqarding it, ask a bank representative or contact a lawyer to enlighten you.